Physicians compare the merits of Botox Cosmetic, Dysport and Xeomin, as a new wave of toxins vies for approval. when it comes to neurotoxins? 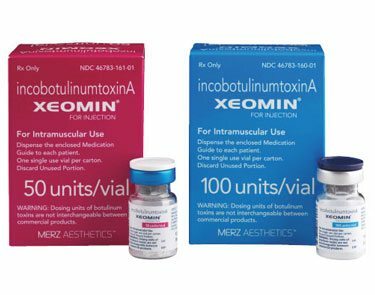 It has been three years since the FDA approved Xeomin (Merz Aesthetics, xeomin.com), the third injectable neurotoxin to enter the U.S. market-along with Botox Cosmetic (Allergan, botoxcosmetic.com) and Dysport (Medicis, dysportusa.com). In addition to a growing number of neurotoxin options, Botox Cosmetic recently received FDA approval for the treatment of crow’s feet, and physicians are seeing continued growth in the numbers of women and men seeking these cosmetic treatments. How do these toxins differ and what advantages, if any, do the newer products provide physicians and consumers? We asked a panel of experts, who have used all three products-Xeomin, Botox and Dysport-to share their experiences. “Botox is still the gold standard, best studied and most widely used. It is also the most costly, and the prices keep rising.” . 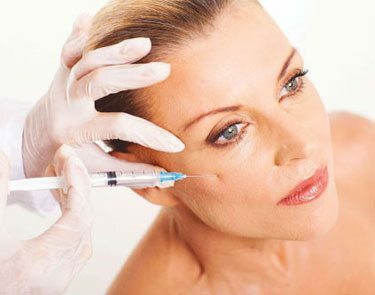 Botox Cosmetic, onabotulinumtoxinA, gained FDA approval in 2002 for the temporary improvement of glabellar lines. In September 2013, it was approved for temporary improvement in the appearance of moderate to severe lateral canthal lines, or crow’s feet. Dysport, abobotulinumtoxinA, gained FDA approval in April 2009 for temporary improvement in the appearance of glabellar lines, and the newest neurotoxin, Xeomin, incobotulinumtoxinA, was approved in July 2011, also for temporary improvement in the appearance of glabellar lines. Comparing prices can be difficult because of basic differences in the products. While the potency (biological activity per unit) is the same for Botox and Xeomin, it is quite different for Dysport, and there is no standard dose conversion. The amount used in FDA clinical trials was 2.5:1 when compared with Botox, but it can be used at 3:1 or higher. Xeomin marketing materials offer two distinctions: It doesn’t require refrigeration, which makes it more portable, and there is less risk of allergies than with Botox. The latter claim is based on the fact that while Botox contains hemagglutinin and non-hemagglutinin proteins as well as toxin, Xeomin is free of these complexing proteins. Scientists speculate that these proteins could increase the possibility of allergic reactions, but the claim is largely nullified, because after extensive use over more than 12 years, the incidence of allergic reaction after Botox injections is insignificant. “In my experience, Xeomin tends to burn less with injection, and fewer patients complain of ‘heaviness’ after treatment,” says Dr. Munavalli. All three currently approved neurotoxin products are Type A botulinum toxins. Significant differences relate to dosing and reconstitution. 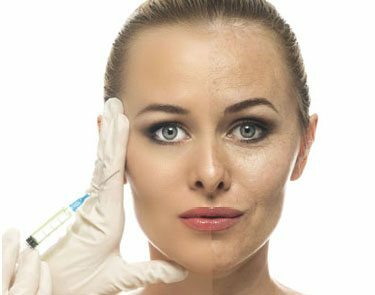 Although it has been used off-label for crow’s feet for years, the FDA approval of Botox Cosmetic for this indication is driving new patients to aesthetic practices. A plethora of studies showing the safety and efficacy of Botox Cosmetic have been published over the years, and Dysport and Xeomin are also well represented in clinical journals. Unfortunately, there are few published studies comparing these products head to head. The only published study comparing all three formulations appeared in the February 2012 issue of the Journal of Drugs and Dermatology by Oliveira de Morais, et al. This small study of 12 male patients with moderate or severe hyperdynamic forehead lines randomly assigned subjects to receive either Botox Cosmetic, Dysport, Xeomin or Prosigne (a botulinum toxin type A product used in China). Evaluations were performed monthly for 150 days. Researchers concluded there were no statistically significant differences in the four preparations in terms of effectiveness over the three-month study period. In September 2010, Cory Maas, MD, presented a study comparing Botox Cosmetic and Dysport for the treatment of crow’s feet at the American Academy of Facial Plastic and Reconstructive Surgery annual meeting (later published in the November/December 2011 Archives of Facial Plastic Surgery). The randomized, double-blind, split-face study of 90 subjects led the researchers to conclude that Dysport offers a quantifiable and demonstrable advantage in wrinkle effacement and hyperfunctional frown lines. Both Allergan and Medicis Aesthetics were approached and offered the opportunity to provide research grants for the study. Medicis did; Allergan declined. Mark G. Rubin, MD, presented his clinical perspective on the differences between Botox Cosmetic and Dysport in the January 2013 issue of Practical Dermatology, concluding that the preparations were so similar that the choice is likely to come down to patient preference and the physician’s own comfort zone in injecting one or the other. The most recent comparison of Botox Cosmetic and Dysport appears in the December 2013 issue of Dermatology and Therapy, an international open-access, peer-reviewed rapid publication journal. Ramtin Kassir and two colleagues conducted a triple-blind, prospective, split-face study comparing the two preparations for the treatment of facial rhytids in 85 subjects. It was funded entirely by Dr. Kassir’s practice, Mona Lisa Cosmetic Surgery Center in Wayne, New Jersey. Dr. Kassir is a national trainer for Medicis; the other two authors have no disclosures. Results showed that for a higher percentage of participants, effects of Dysport appeared sooner and lasted longer: 83% injected with Dysport had continuing effects after three months compared to 48% injected with Botox; 65% showed continuing effects with Dysport after four months compared to 47% with Botox. Participants received 10 units of Botox Cosmetic on one side of the face and 30 units of Dysport on the other. Our panel isn’t convinced. All three doctors say there is no significant difference in duration of effect in their practices. They note that the physician’s skill with using the neurotoxin is more important than the slight differences in the products themselves. The main differentiating point for Xeomin is that it does not require refrigeration. 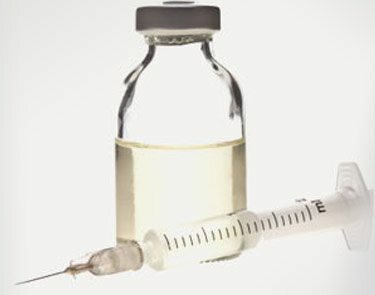 Many physicians and consumers are eagerly awaiting approval of topical botulinum toxins. Stocking three neurotoxins to satisfy patients isn’t a burden for most practices but when the options extend to six or seven, practice administrators will feel the need to make choices. Purtox (Mentor, mentorwwllc.com) has completed Phase 3 clinical trials and is awaiting FDA approval for its highly refined type A botulinum toxin. Like Xeomin, it is a pure toxin with no complexing proteins. According to the company, it shares the same potency units as Botox, so there will be no difference in dosing. Although Medicis distributes Dysport in the U.S., it is made in Europe by Ipsen (ipsen.com). Ipsen has announced that it is proceeding with Phase 3 clinical trials on the first-ever ready-to-use liquid toxin A, called Dysport Next Generation (DNG). Clinical trials indicate it will be similar to Dysport in effect and longevity. “It is important to have another option available on the market that is the same molecule size as the market leader right now,” says Robert Grant, CEO of ALPHAEON. “I strongly believe that the market for patients who can afford neurotoxins and/or dermal fillers is only 10% penetrated. Having more options for doctors to minister to those patients is positive for the market, and we are very excited about the potential of this product.” The company is currently working with the FDA to set up clinical trials and hopes to bring Evosyal to market in 2017. RT001 from Revance Therapeutics (revance.com) is a botulinum toxin type A topical gel that is entering Phase 3 clinical trials. Phase 2 trials showed no significant safety issues. There was no evidence of regional spread of botulinum toxin and no serious adverse events. Revance is also working on RT002, an injectable botulinum toxin type A formulation that uses TransMTS technology to restrict the active molecule to the target site and reduce unwanted spread. There’s competition here as well. Transdermal Corp. (transdermalcorp.com), based in Birmingham, Michigan is testing Cosmetox, a botulinum toxin type A topical cream delivered with the company’s proprietary nonparticle drug delivery technology. 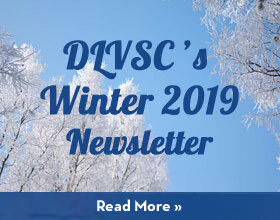 Both of these products and the rationale behind topical delivery of botulinum toxin is well covered in “Topical Botulinum Toxins” by Ashley Collins, MD, and Adnan Nasir, MD, published in the March 2010 issue of the Journal of Clinical and Aesthetic Dermatology.